I love breakfast. The only problem is, I would much rather sleep in late than wake up and start cooking. Unfortunately, it means my kids eat a lot of cereal, toast and yogurt in the morning. But I love breakfast food. That’s why I have this habit of serving breakfast for lunch and dinner. Fortunately, my kids think that pancakes and waffles are great ways to change-up the dinner table. Breakfast for dinner? That’s crazy talk! 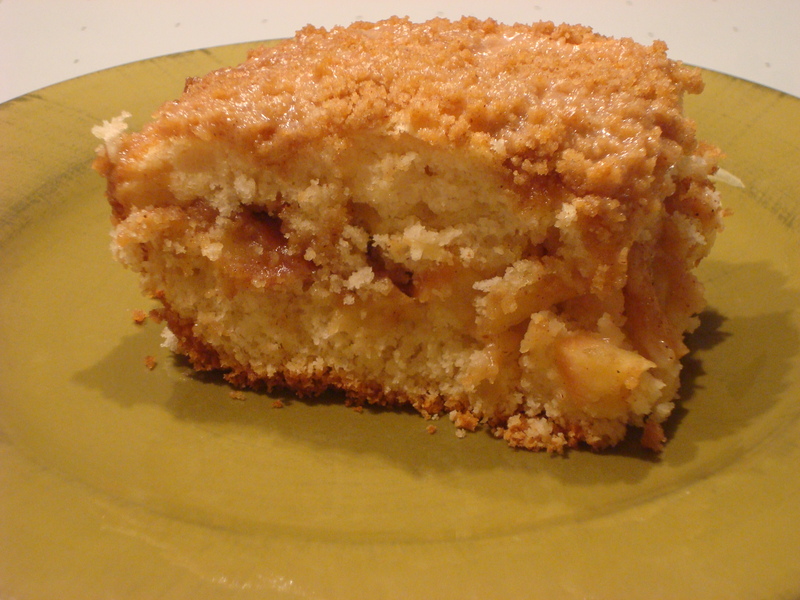 One of my all-time favorite breakfast foods is this Apple Crunch Coffee Cake. It’s pretty simple to make but tastes great! Grease a 9 x 9 x 2 inch pan. Mix baking mix, milk, sugar and egg. Beat rigorously for 30 seconds. Spread half of the batter in pan. 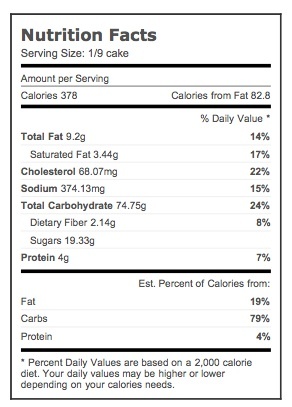 Arrange apple slices on batter. Sprinkle with half of the streusel topping. Spread remaining batter over apple slices and sprinkle with the remaining streusel topping. Bake at 400 degrees until a wooden pick inserted in center comes out clean (about 25 minutes). Cool. Mix glaze until smooth. Drizzle with glaze as desired.